Photos: On estuary post. Co.Waterford, Ireland. Greyish or grey-green thallus, sometimes +/- absent. 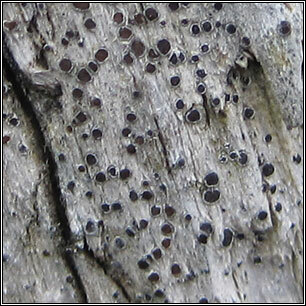 Abundant apothecia, discs brown-black with thick margins. 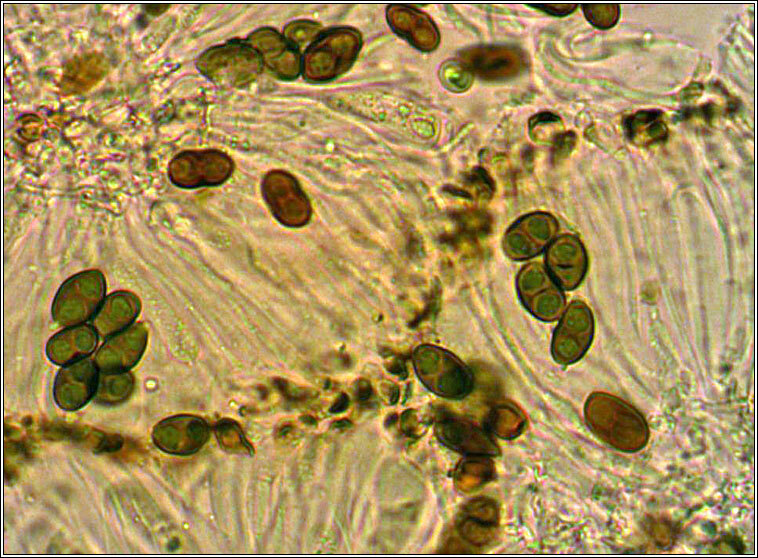 Spores brown, 1-septate, 13-16 x 7-10 µm. Microscope photographs below. 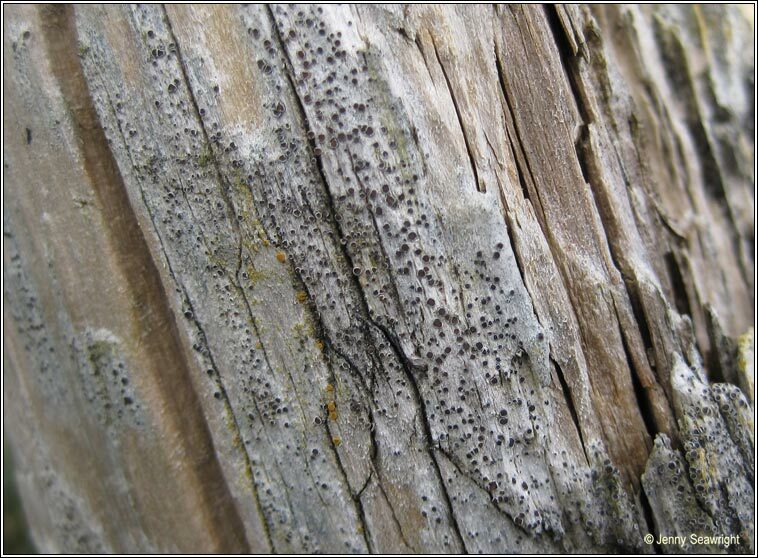 Pollution tolerant, common on basic or nutrient-rich rocks, walls, concrete, bark and wood. 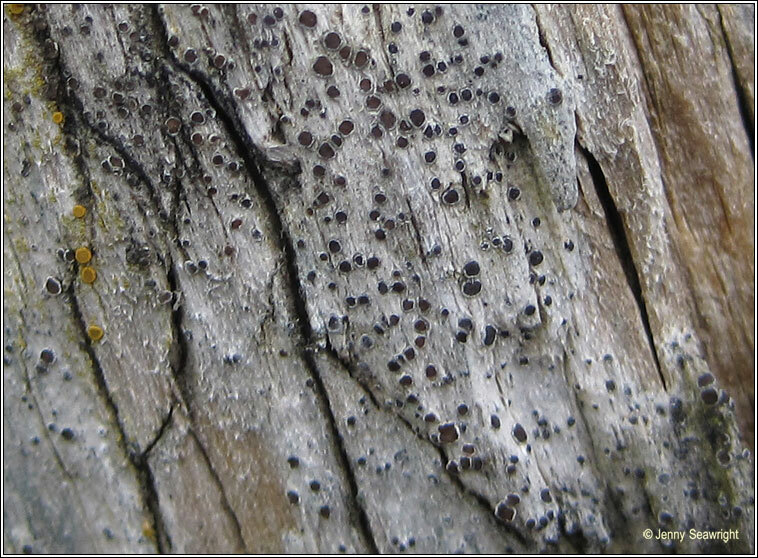 Similar: Rinodina roboris is K+ yellow, occurs on well-lit bark. 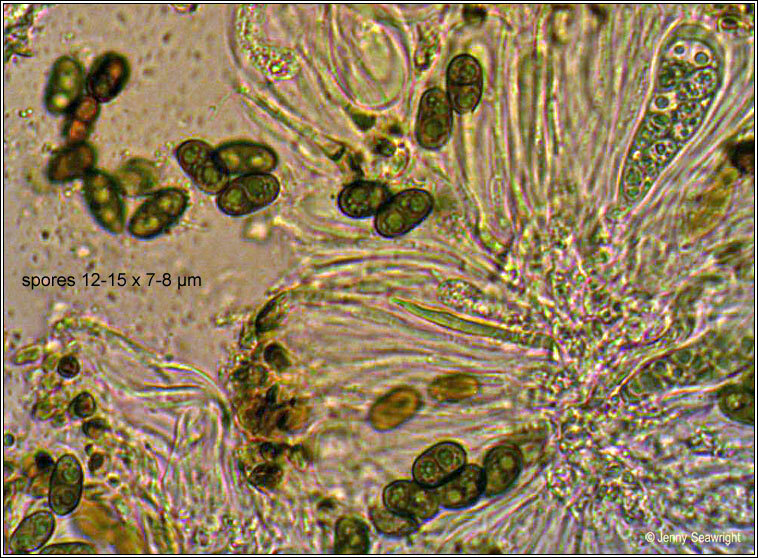 Lecania erysibe has narrower, colourless spores.